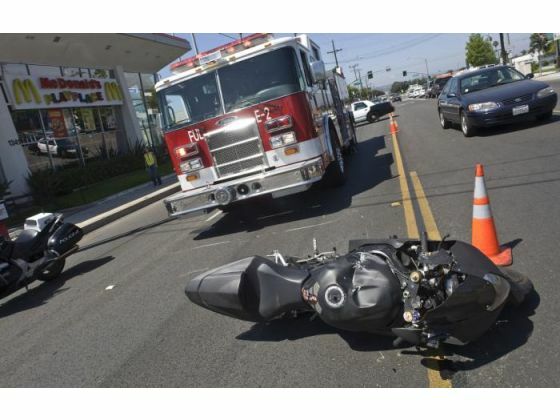 FULLERTON – Our motorcycle accident lawyer in Orange County has another unfortunate accident to report from last week. Last Thursday afternoon in Fullerton, one person was injured when a Toyota Camry crashed into a rider on a late model Suzuki sport bike. According to authorities, the motorcycle crash occurred around 2 p.m. on Brookhurst Street and Orangethorpe Avenue. After the crash, the motorcycle skidded across the road and ended up in the center lane of Brookhurst in front of a fast food restaurant. The southbound lanes of Brookhurst were stopped until an ambulance arrived to take the injured motorcyclist to the hospital. No details have been released as to the condition of the motorcycle rider. 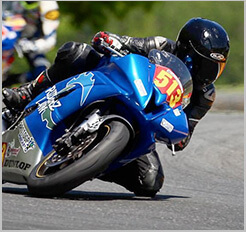 Our thoughts and prayers are with this rider and his family, and we wish him a speedy recovery. Neither the fire dispatch service nor California Highway Patrol have released any details regarding the exact cause of the accident, but it appears that the driver of the Toyota Camry may have been at fault. We will update this report as more details become available. As always, the motorcycle accident attorneys here at Riderzlaw urge our clients and readers to ride smart and ride safe.